The aisles in our vault have gradually started to clear up as the FUN Show purchases have been processed and the imaging staff is hard at work with the new items that we are almost ready to offer. Looking back, we were thrilled with the opportunities that we were able to take advantage of and our recent auctions and activity in the office has encouraged us to keep searching! With everything from rare Early Copper, to key date Morgan Dollars, to Confederate and World Currency, we’ve been active in acquiring new items. There really is no period of rest in our business, but we have been able to finally catch our breath before pouring into the rest of the month. I (John Brush) had the privilege to visit the Virginia State Capitol yesterday to meet with our Virginia state legislators on a tax issue that is close to our heart at DLRC. 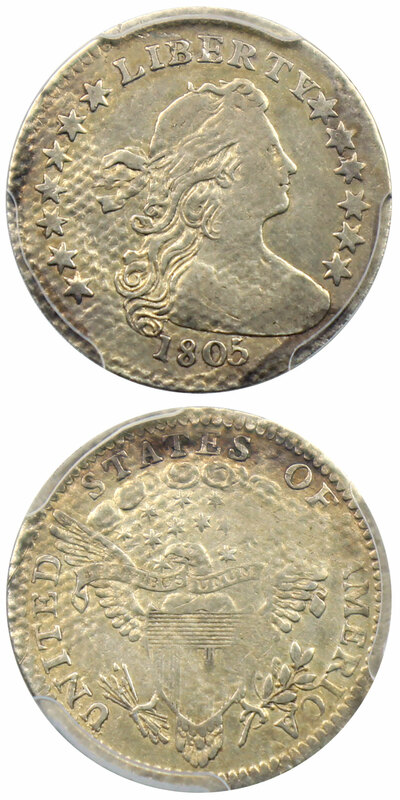 We have been very limited in our scope within the state of Virginia due to the sales tax on rare coins for many years. Fortunately, 32 other states do not have this issue, so we’ve taken it upon ourselves to spread this news around the state and have led the charge, along with our lobbyist Steve Haner, to try to gain a tax exemption within the state. Yesterday was a major step as we made it through a House Finance Sub-Committee, and we are hoping to be able to get it all of the way to the floor for a vote in the coming weeks. While the realm of politics is far from my comfort zone, it’s been a very educational process, and one that we think is an important one for not only dealers in Virginia, but also for collectors within the state. We’ll keep most of this news to those within the state of Virginia, but we thought that it was worth mentioning as I was particularly honored to be able to speak to so many of the leaders throughout our great Commonwealth. This week’s CWL offers a variety of highlights from our upcoming auction and gives a small glimpse into the rest of our overall inventory that is available for purchase. We hope that you find something of interest there and we’d love to hear from you! Also, if you’re new to our website, we’d encourage you to check out our new blog entry that helps guide you through some features on our website here. Thanks again for reading and we hope to see you next week! Mr. Brush goes to Richmond! John Brush and DLRC visited Richmond yesterday to discuss and hopefully eliminate Virginia Sales Tax on Rare Coins. Why we love it: This gorgeous superb gem is one of the finest examples of this tough Carson City date that we’ve had the pleasure to offer. In fact, only a single piece is graded finer by PCGS (MS67+). An amazingly beautiful coin with fantastic luster and the slightest gray tint highlight the excellent fully-struck details. Value: Coins of this caliber simply do not cross the auction block with any type of frequency, but comparable sales in the past year are within the $16,450-$19,500. This excellent opportunity is reserved in this week’s auction for just $16,000 and is a great opportunity for the finest of Morgan Dollar sets. Why we love it: Generic (common date) gold issues have long been popular with both collectors and investors. Unfortunately, due to recent finds in Europe and the slowing of demand, the premiums on lower grade gold coins have dropped dramatically. However, true gem quality Double Eagles have held steadily when the coins are “all there.” This lovely coin is a perfect example of an accurately-graded gem and is certainly a deserving Coin We Love. 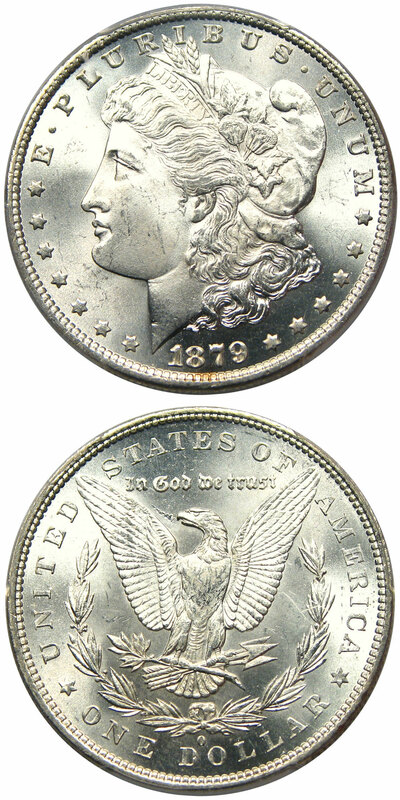 Value: Values on MS65 Double Eagles graded by NGC have held steady in the last few months. While the Greysheet reflects a wholesale value of $3,750, the market has caught up a bit and has settled at a better value in the $3,000 range. This piece is reserved for just $2,900 in this week’s auction and would be an excellent acquisition for the investor. 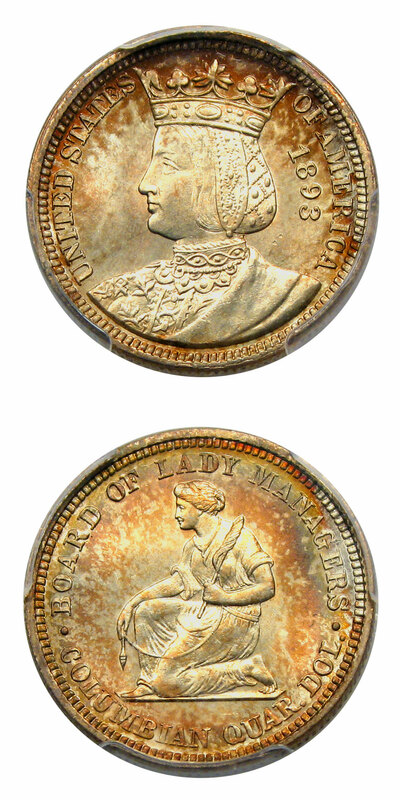 Why we love it: A lovely example of this popular overdate type coin. Truly wholesome for the grade, we see far fewer examples of these coins on the market, especially with CAC stickers. Comparable examples are simply not available, and we love the opportunity and collectability that these pieces offer. Value: The PCGS Price Guide reflects a value of $4,500 on this piece, and we are proud to offer it via outright sale this week for the special price of $4,150 via Make Offer. 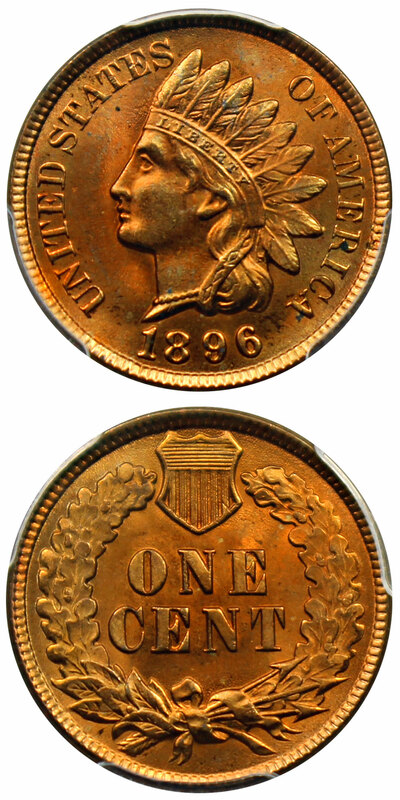 Why we love it: Gem Red Indian Cents have become increasingly difficult to locate in the past five years and it’s really become a mystery to us. We now try to snap up every MS65 and finer example that is nice for the grade and meets our narrow criteria of selection. We find that we simply cannot replace these coins in our inventory. This piece comes fresh to us from the FUN show and is simply a gorgeous Red Indian Cent with amazing surfaces. Value: The PCGS Price Guide sits at $5,000 for this beautiful gem. Unfortunately, there are auction records of far lesser totals due to many inferior coins that have been hitting the market. When a nice piece arrives, it fetches a tremendous total, but we are proud to offer this piece at a significant discount with a reserve of just $2,950 in this Sunday’s auction. Why we love it: The 1877 Proof Issue is our favorite date in this short-lived and under-appreciated series. With a mintage of just 510 coins, the likelihood of finding multiple offerings is very little, with Cameo examples even rarer. This piece is a perfect gem with gorgeous, original golden surfaces and is a highlight for any collection of 3-Cent Nickels or Proof Type Coins. Value: PCGS reflects a value of $10,000 in this grade and designation, but recent sales records reflect prices between $8,225 and $8,800 for CAC-stickered examples. This lovely piece is being offered at a special wholesale price of just $8,250 via Make Offer this week. Why we love it: The 79-O is a rare issue in MS66 and no finer examples have ever sold. This exceptional gem exhibits frosty surfaces and brilliant luster with amazing eye appeal. While it doesn’t carry the gravitas of the other key dates, the poor storage and handling of this New Orleans-based issue has allowed this date to become very difficult in high grades, thus our excitement at this unusual jewel. Value: Only a single example has sold in the last year for $16,450 in auction. Since 2012 only five coins have sold, and all have been between $16,000-$19,500. This lovely example is reserved for a very reasonable $16,500 and would be a blazing white addition to a high-end Morgan Dollar cabinet. Why we love it: Despite minting deficiencies in later years in San Francisco and Denver, the earlier Buffalo nickels from San Francisco can display quite nicely when fully struck. This gorgeous gem certainly is one of the nicer examples of this scarce date and truly stands out from the herd. The first example that we’ve offered in five years, we think that this piece is sure to see lively bidding. Value: PCGS reflects a value of $7,500 on this date and grade, and it is reserved accordingly at the $6,750 level where we expect it to garner much attention. Why we love it: Hailing from a minuscule circulation strike mintage of just 15,600 pieces, this early Half Dime is not often seen in affordable grades. This VF-detailed example is the perfect example for the true collector that appreciates above average detail and can overlook the light damage to the surfaces. Value: The Greysheet value for a “Good” example sits at $1,200, whereas a VF jumps to $3,300. This perfect hole-filler is available for just $1,050 via Make Offer and is an excellent addition for the true collector. Why we love it: Seldom seen with such vibrant colors, this coin wowed us when the opportunity came about to acquire it again. We placed this coin in a top-notch collection two years ago and the prospect of re-acquiring it presented itself at the FUN show, so we had to jump at the chance. A lovely example with beautiful rim toning, we are proud to offer it once again. Value: PCGS values this coin at $5,500, and we are proud to offer it via outright sale this week for just $5,100 with our Make Offer feature! Check out our latest post about Navigating the DLRC Website!